iPhone gaming has taken the world by storm, and most people believed that you had to be extremely talented in hand eye coordination in order to be good at video games. This is true, and many video games can be extremely complicated and involved, but the iPhone has created an environment of gaming that is all new and attracts a whole new type of audience. The average gamer on the iPhone is just your average person. Most people enjoy their gaming when they have to wait for something, and there are several different styles of games to match the interest of just about anyone. There are more complex extended games or there are short quick games that can be played during a quick bathroom break. The mysterious world of iPhone gaming is only but getting better, and here are a few games that are huge successes. 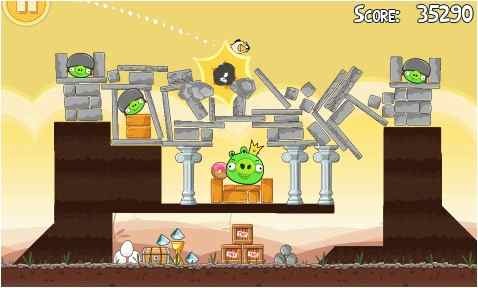 Angry Birds is one of the most successful games that is available on the iPhone. There are several versions available such as the original Angry Birds, Seasons, Space, and Rio. It is easy and fun. You take different colored birds that have different capabilities based on their color and attack this green pig like creatures. The creatures are generally hidden in some kind of structure and it may take some strategic planning to try and get to the pig character. A round can be played very quickly, so it is a great game to kill a couple of minutes or a couple of hours. Where’s My Water is a game that was developed by Disney. It takes a strategic mind and is a great deal of fun. 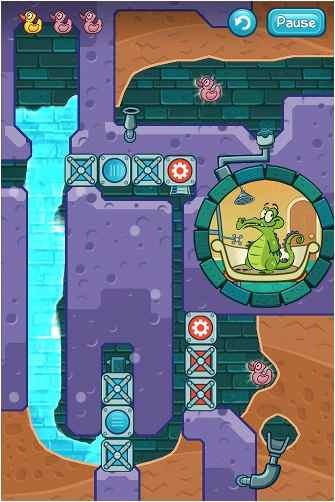 Swampy, a gator character of the game, is trying to take and bath. It is your job to guide the water to the tub so that he can get enough water to bathe. The higher you progress the more challenges that you will have to overcome. Where’s My Perry is the same basic challenge, but a new storyline. Instead of trying to get enough water for Swampy’s bath you are trying to get enough to Perry to release him so that he can advance to the next level. Words with Friends is a Scrabble style game that is both challenging and fun. You can play against friends or strangers, and the best part the game is free. Dice with Friends is played in the same manner as Words with Friends, but instead of the game being like Scrabble it is like Yahtzee. The Dice game is a great deal of fun and is easy to learn. Plants vs. Zombies is an extremely addictive guilty pleasure. It is a strategic game that is a great deal of fun. Unlike most Zombie games where you have to shoot or bash their head these zombies can be satisfied by some happy little plants. The zombies are out to get you, so you have to find a way to grow enough plants or placing enough obstacles in their way to delay them from getting to your brains. It is a fun interactive game that will have you addicted in no time. 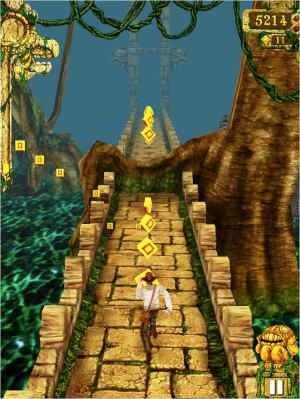 Temple Run is a basic concept, but is highly addicting. Your Indiana Jones looking character is on the run through a temple. It is your job to guide him through the temple and around all of the obstacles. The iPhone gaming has taken simply concepts and basic games and has made them incredibly fun and entertaining to the average person. The great news is that a lot of them are free, and the ones that you do have to pay for can be purchased at a minimal price. Author bio: The post is authorized by Jason Phillips. He is a writer and blogger mainly focusing on technology, applications and games now days. He loves to play Turbo Trucks at www.truckgames365.com in his free time.